Charlie Cox has been serenading visitors to the La Brea Tar Pits for years (decades?) now. 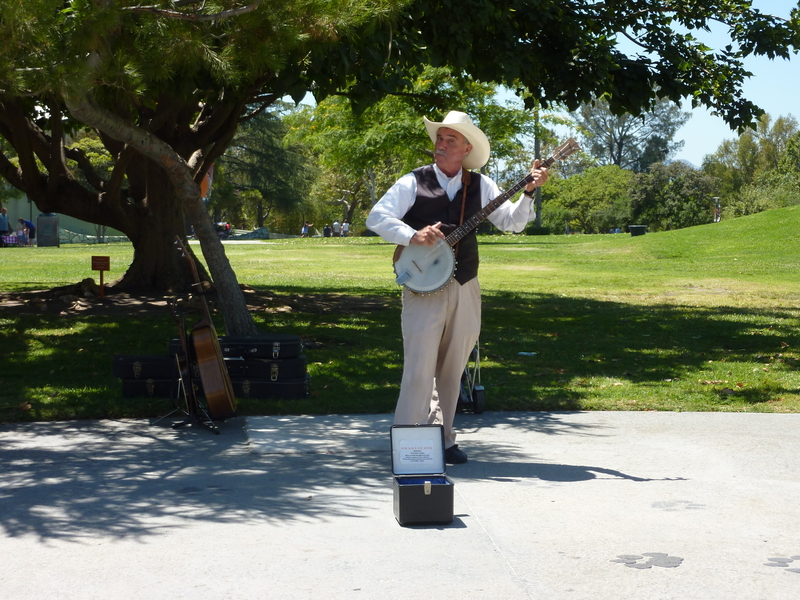 We always stop to listen to whatever he’s strummin’ on his ol’ banjo… and he takes requests! T’s particular to train songs, which happens to be one of Mr. Cox’s specialty genres. Choo choo!